We are so very grateful for God’s daily presence in our lives! We have had a front row seat to His miraculous transformations in people’s lives as they come seeking help for freedom and healing in their marriages and personal lives. We stand in awe as we see God’s faithfulness and overwhelming love revealed to each person. A few weeks ago, a couple came as a last ditch effort to save their marriage. At the end of six days, with tears streaming down their faces and hearts lovingly connected, they tore up their divorce papers! Another couple, married ten years, had tried to forgive one another, but the pain in their hearts continued on. As they came with hearts willing to do whatever it takes to get free, they discovered childhood incidences where they had locked away their hearts, because they hurt so badly they didn’t know what to do with their pain. They shoved it down and went on with life, excelling in a lot of areas, but unable to give and receive love. During our time together, Jesus showed up with heart-healing revelations; they found and renounced the lies and mindsets they had believed from the enemy; Jesus spoke truth to their hearts, and they found and renounced the vows (the walls of agreements they made with the enemy). They walked away at the end of the week fully connected in love with one another, no longer driven to perform for approval. They never knew they could be so free! Some personal highlights from this past year were celebrating Leroy’s recovery from cancer and open heart surgery! We are grateful for all of you who joined with us during our time of personal challenge. Building healthy generations is foremost on our hearts, and we were able to take a special trip to Hawaii to have time with our children and grandchildren. We enjoyed snorkeling, playing in the ocean, fireworks and pineapples. We wish you all a very merry Christmas and a blessed and fulfilling new year! 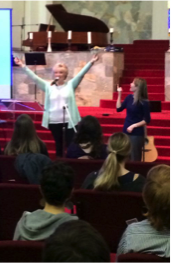 Freedom & Love Conference in Vancouver, Washington! “This conference is for anyone who desires more of the freedom Jesus has to offer! Spread the word to your friends and family who live in the surrounding area! Check out the link below for full details and registration. Conference in Pasadena this weekend! Transforming Hearts Ministries will be holding a conference with Ekballo House of Prayer in Pasadena California! Check our our schedule below for more details. This is the time of year when families get together, some who spend a lot of time together, some who haven’t seen each other for a while and some who’ve been estranged through hurts and disagreements or who don’t seem to live up to the expectations of their family members. Remember, the enemy is out to fulfill his job description: kill, steal, and destroy your heart and every relationship in your life (John 10:10). His goal is to get you focused on yourself and separated from God. Jesus, on the other hand, came to heal hearts and to give life abundantly (Isaiah 61:1-4). Stay connected to JESUS every moment, taking your own heart to Him to receive love and care, so you will be empowered by Him. This will change your Christmas experience. Transforming Hearts Ministries will be hosting a conference in Wisconsin from August 22nd – 24th. Come join us! What a blessed first few months we’ve had! 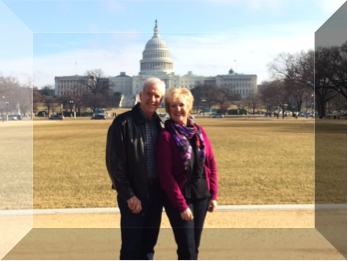 Leroy and Jeanne started the year out with a trip to Washington, D.C. to work with YWAM leaders, and followed with a trip to Pasadena, CA, to train leaders at the Ekballo House of Prayer. 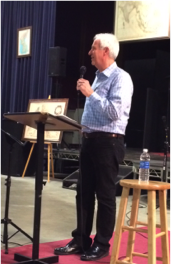 It was a privilege to see how students on both coasts had a hunger for freedom and wholeness. What an exciting time to work with emerging leaders to see them healed and set free as they cover the globe in missions and prayer! Please call 707-889-1781 for information. Thank you for your faithful prayer support! When a friend told me to look at Transforming Hearts’ website, I was hanging on by my last fingernail. I watched the video clips on their homepage and something hopeful stirred in my heart. I contacted them by phone, and to my surprise, Jeanne answered the phone. I explained that my husband and I had gone through months of counseling and we were desperate for a break-through in our marriage. I was impressed by Jeanne’s insightfulness during our conversation. She spoke truth into me, prayed for me on the phone, and we selected a date to come to Redding. My husband and I have attended many marriage retreats, conferences and seminars, but never before found a successful way to get off of the “crazy cycle” in which we were living. The assignment to watch the DVD’s and complete our workbook started the process for each of us to “come clean” with the transparency needed for God to heal our Christian marriage. I knew my husband was struggling with guilt and shame, which in turn was causing me great pain. I couldn’t imagine how Leroy was going to tackle the challenge of getting to the ugly roots that had so badly tangled us up. I called Leroy to clarify the assignment, and I knew in that short phone call that this was someone qualified to handle our strong personalities. We have been prayed over by dear Christian friends many times. Never before had we gone to battle in prayer by anyone who knew our secret sins and wounded hearts so completely. Learning to truly repent in prayer (not just offer apologies to our spouse) along with praying to cast off bitterness and bind the enemy forces that seek to destroy our marriage has brought the freedom and peace we desperately needed. During our time in prayer, God revealed to me past hurts that I wasn’t even aware I had been carrying, apart from issues with my husband. On my own I was trying so hard in my strength to overcome strongholds that kept me nervous and anxious. In this first week since we returned home from Redding, I have experienced a sense of calm and joy I have not known before. Our hearts are being transformed daily by the love of Jesus, and we are so grateful that God has chosen to use Leroy and Jeanne in this life-changing ministry for others. Every committed Christian couple that we know could benefit by this intensive counseling time spent together. Thanking God for you both. Transformed hearts; changed lives; love easily given and received; life lived in freedom; the ability to see God for who He really is and to understand and walk in the truth of who I am in Christ: these are some of the goals of our hearts for everyone who reads this BLOG. We meet regularly with people to help identify and resolve personal and marital issues and weekly see people set free to love and be loved, sometimes, for the first time in their lives. We have found that emotional damage from our past will always affect how we view ourselves, how we respond to others, how we treat others, how we respond to others who touch our pain, and how we view God. It is so critical that we resolve the emotional areas of pain, so that our present relationships will not be negatively affected. Unresolved emotional damage causes us to make vows and build walls to protect our heart from further hurt. We won’t allow others to get close for fear that they will hurt us like we have been damaged in the past. If we have been too emotionally damaged, we will be limited in the amount of love we can give to others, because a person focused on his own pain can never seem to see other people’s needs or connect deeply in relationship with them. I would encourage you to ask Jesus to show what’s going on inside of you. Have you felt pain in your heart from someone? Have you been damaged emotionally? How has that affected you? Does it cause you to hide or run away, or go to an addiction? Does it cause you to get angry and lash out at someone? Has it affected your ability to open your heart to your spouse/children/others? If you would like help resolving any of these issues, please contact us; we would love to help. The following is a recent testimony from a friend who did just that. I wanted to give you an update on how we are doing. I hope it is an encouragement to you. If you recall, I had been intimidated, beat up, and even molested at one point at school as a young child (around age 5-6), then was later bullied and constantly criticized and shamed by my mother as a teenager. That all led to an overwhelming intimidation that tormented every area of my life for more than 35 years. Honestly, I didn’t think I would ever be free and had learned to live with significant regret. I would shrink back from most opportunities in business because of fear, especially of embarrassment and making mistakes. I would keep trying to step out in ministry, but would soon become incapacitated because of the heavy oppression followed by the inability to hear God or have any confidence when the intimidation came. I remember that you walked me through bringing the intimidated part of my heart to Jesus and then had me declare His revealed truth over myself, even though it was not my present reality. I remember I said something about being bold (and immediately then thinking, “are you kidding?”). And…God continues to strengthen our marriage.